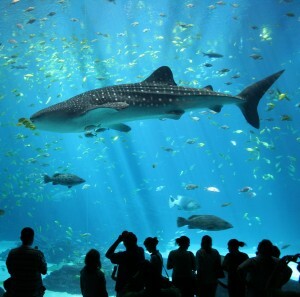 I recently presented at the largest-ever SourceCon event held at the mesmerizing Georgia Aquarium where you can network with industry peers while watching whale sharks, manta rays and Beluga whales swim by. My session focused on building out a sourcing function with an emphasis on building a sourcing team from scratch with people who have no prior experience in sourcing and recruiting. I recently hired and trained a team of 40+ sourcers so I was able to share my journey and lessons learned, as well as my theory that you can more effectively train people with no prior experience than you can people with a few years or more of sourcing and recruiting. My theory is supported by my own experience (I’ve never attended or received any sourcing or recruiting training), as well as a couple of books I referenced in my presentation: The Talent Code and Talent is Overrated. It’s quite interesting to realize that most environments are neither conducive to effective learning, nor effective in developing extremely advanced levels of sourcing and recruiting capability. If you didn’t have the chance to see me speak at SourceCon and you haven’t already viewed this deck on SourceCon’s website, please review my presentation below to learn more about the ideal conditions under which you can create the next generation of sourcing masters. And yes, you’ll get the chance to see a handful of the Boolean search strings I use to find people with no prior sourcing or recruiting experience (or any specific experience, for that matter!) who have a high probability of developing into world-class sourcers and recruiters.